“Jammin’ with Jamie” Theme: “Tasty Tunes: Part 1 and 2 (Thanksgiving 2013: Part 1 and 2)”! As I discussed last week, we’re going through the annual transition from Halloween to the rest of the year, and looking ahead to the many holidays celebrated between now and the time we change our calendars. As I’m sure most of you are aware, the first among the rest of these holidays is coming up next Thursday––– Thanksgiving! Of course, Thanksgiving is all about being thankful, and I’m thankful that I get to have a jam session with all of you every week! This entry was posted in 89.3 WNUR FM, Jammin' with Jamie, Julie Andrews, Mary Poppins, Movies/Film, Music, Northwestern University, Radio, Riders in the Sky, Thanksgiving, The Muppets and tagged Tasty Tunes, Thanksgiving 2013 on November 22, 2013 by Jamie Lee. Due to various circumstances, such as major deadlines suddenly being bumped up, I’ll have to take a rain check on this week’s jam session. Next week, I promise you we’re going to “Shoot for the Stars”! This entry was posted in 89.3 WNUR FM, Jammin' with Jamie, Music, Northwestern University, Radio and tagged Rain Check, Shoot for the Stars, Sorry on November 8, 2013 by Jamie Lee. “Jammin’ with Jamie” Theme: “Shoot for the Stars”! UPDATE: This will be happening this Saturday, November 16! After a couple of weeks off due to Sportsathon and other life incidents, respectively, we’re back to our regularly scheduled jam sessions! As we transition from Halloween to the rest of the year and look ahead to Thanksgiving, Christmas, Hanukkah, Kwanzaa, New Year’s Eve, and the many other holidays celebrated between now and the end of the year, in my experience, an interesting transformation occurs. Namely, many people suddenly become happier and more optimistic about life in general. What? What are we going to do, Jamie Lee?! This entry was posted in 89.3 WNUR FM, Jammin' with Jamie, Music, Northwestern University, Radio, The Muppets and tagged Shoot for the Stars, Wicked on November 7, 2013 by Jamie Lee. 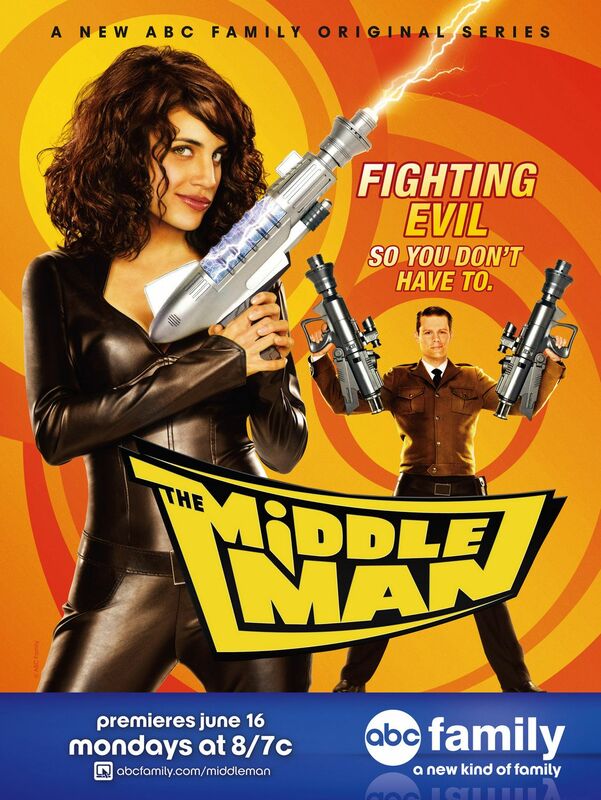 “I’m Just the Middleman,” Part 1: The Spontaneous Poster Introduction! In May of 2008, my family and I went out to a mall for dinner. This particular mall always had various ads on posters that rotated up and down in little “stations” throughout the building. We’d look at them, but wouldn’t really pay too much attention to them unless it was advertising a movie that we already knew and were excited about. But on this particular evening, one of the posters drew my attention––– to the point where I stood in front of the station through countless rotations just so I could take it all in. I had to memorize it so I could remember every detail of it later. I had no idea how long the mall would keep the poster in the rotation, and did not want to risk it disappearing and forgetting about it. This should go without saying, but I’ll say it anyway: this stood out. “Sands of Zanzibar!” What is THAT?! This entry was posted in Comics, Television/TV, The Middleman and tagged ABC Family, Javier Grillo-Marxuach on November 2, 2013 by Jamie Lee.